Bob Akers is the enterprise director for e-Stewards. Akers works with corporations, organizations, government and certified e-Stewards recyclers to develop opportunities. He has worked in the electronics recycling industry for 13 years, most recently as executive director of the nonprofit Surplus Exchange in Kansas City, Mo., where he guided his team to become an early pledged e-Stewards company successfully completed eight e-Stewards certification audits. Walter Alcorn is vice president for environmental affairs and industry sustainability for the Consumer Technology Association (CTA). In this position, Alcorn is responsible for legislative and research initiatives affecting electronic product recycling, packaging, design, eco-labeling and hazardous materials restrictions. Salvador Álvarez Río is the CEO for Proambi, an ITAD and R2 company based in Mexico. In his time at Proambi, he has established partnerships with other R2 international recycling companies for joint programs. Álvarez Río maintains relationships with decision-makers in both federal and local government to create new recycling norms, programs and public policies. Callie Babbitt is the associate professor of sustainability at Rochester Institute of Technology. She teaches courses in industrial ecology, sustainable product design, life cycle assessment, and sustainable food-energy-water systems for both the MS and Ph.D. programs. Babbitt also conducts research on the environmental implications of emerging technologies, including consumer electronics, nanomaterials and lithium-ion batteries. Her research and teaching have been recognized by the National Science Foundation Faculty Early Career Development (CAREER) Program Award in 2013, and she was honored with the AT&T Technology and Environment Award in 2011. Serdar Bankaci is the president and founder of Pennsylvania-based CyberCrunch. The company was started in 2011 under the name Commonwealth Computer Recycling after Bankaci read about the negative impact electronics have on our environment. Keen to marry environmental sustainability with a viable business model, Bankaci has built the firm into the mid-Atlantic region’s leading electronics recycling, data disposal, and asset recovery service. Previously, he founded real estate data brokerage startup Default Research in 2004, growing the business to become one of the largest data providers in the country. TJ Barelmann is the director of operations with Cascade Asset Management. In this role, he is responsible for strategic planning and management of business operations. Barelmann has 15 years of experience working in the IT Asset Disposition space. Jeff Bednar is chief of the waste reduction and recycling section of the Bureau of Waste Management with the Pennsylvania Department of Environmental Protection. In that capacity he manages the Commonwealth's electronics recycling program and implementation of the Covered Device Recycling Act of 2010 as well as the Household Hazardous Waste Program and Recycling Markets efforts. From 2006 to 2013, he was an executive budget specialist with the governor’s Budget Office. Sara Behdad is the assistant professor of mechanical and aerospace engineering, and industrial and systems engineering at the University at Buffalo (UB). She is the founding director of Green Engineering Technologies for Community of Tomorrow (GETCOT) research lab at UB. Her recent research focuses on data-driven life cycle engineering, design for consumer behavior change, and modeling complex socio-economic systems. Her work has been covered in media in outlets such as PBS, Daily Mail, The Chicago Tribune, and Motherboard. Behdad was the recipient of the 2017 International Life Cycle Academy Award for her contribution to sustainable consumption field. Brandon Bray is a physical scientist in the U.S. Environmental Protection Agency’s Sustainable Materials Management (SMM) Program, where he works on projects related to packaging and electronics sustainability. Bray works on standards development activities such as EPEAT and R2. He also handles stakeholder engagement and international plastics sustainability efforts through the Commission for Environmental Cooperation and OECD. Mark Chodos is the CEO of Makor Solutions, a software company that focuses on providing the IT asset recovery and e-scrap recycling industry with business solutions. He has over 20 years of technology and product management and began his career as a software engineer for companies including Altech and Siemens, designing complex communication applications. Today, Makor Solutions has customers around the world, and the company's Makor ERP product is the premier enterprise resource planning platform for the industry. Robert Clatterbuck is a senior investigator at the U.S. Department of Transportation's Pipeline and Hazardous Materials Safety Administration in the Office of Hazardous Materials Safety Field Support Services. With over 30 years in the field of hazardous materials transportation and 21 years in hazmat enforcement, field operations and investigations, Clatterbuck has a working knowledge of lithium battery shippers, recyclers and lithium battery incident investigations. He currently coordinates the Lithium Battery Multi-Agency Coordination Group that includes 15 federal agencies and Transport Canada. Tricia Conroy serves as the executive director for the Electronic Manufacturers Recycling Management Company (MRM). MRM was founded to help electronics manufacturers work together to provide convenient, environmentally responsible recycling opportunities to consumers and comply with the many different state e-waste laws across the United States. Prior to working with MRM, Conroy was an owner and president of E4 Partners, an environmental consulting firm. Amanda Cotton is the e-waste coordinator for the Minnesota Pollution Control Agency. Cotton has been involved with toxicity reduction, pollution prevention and product stewardship at the agency for 11 years. Ollie Crush is the co-founder and CSO of Mint Innovation, a startup that uses biometallurgy to recover metallic value from difficult feedstocks. With a background in synthetic biology, his work involves scaling up Mint's technology for application to e-waste. 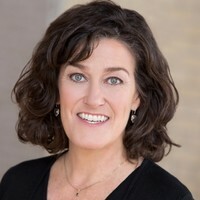 Suzanne Curry is director of marketing and member support for CHWMEG, Inc., a nonprofit trade association that includes over 825 unique manufacturing and similar industrial organizations, educational/research institutions and individual government installations. CHWMEG has evolved to become a central source of valuable risk information concerning individual waste treatment/disposal and recycling service providers globally. In her role for the last 6-plus years, Curry is responsible for new member development, marketing, member training and CHWMEG member program assistance. Gary Curtis is the non-ferrous division director at Schupan & Sons, Inc., overseeing the company's industrial recycling and electronics recycling operations. Previously, Curtis held various executive positions at Wise Recycling and Terrapin Recycling. He is currently a director for the non-ferrous division of ISRI, and he has also served as a member of the recycling division within the Aluminum Association. Corey Dehmey is the executive director of SERI. He has worked in various roles in the Electronics Reuse and Recycling industry since 2008, including most recently as the R2 director for SERI. Dehmey spent 12 years in the IT industry before transitioning to electronics recycling. Gary Diamond is the president and CEO of Shift Group of Companies. He started Shift Recycling in 2010 and has grown it to one of the largest recyclers of electronic waste in Ontario. Diamond’s goal is to build an international organization that is the company of choice for local, national and international e-waste collection. Kevin Dillon is the co-founder, chief marketing officer and chief sales officer for ERI. He currently oversees all of the company’s corporate sales and marketing efforts, acquisitions and business development. With a key role in building ERI from the ground up, Dillon has helped lead the firm to its current standing as the nation’s leading recycler of electronic waste and the world's largest IT asset disposition (ITAD) and cybersecurity-focused hardware destruction company, processing more than 275 million pounds of electronic waste annually at eight locations, serving every ZIP code in the United States. Adam Dumes is the senior vice president at Cohen Recycling and the president of Cobalt, Cohen’s ITAD subsidiary. He started in the company's non-ferrous operations and managed outside projects until becoming a ferrous buyer. Dumes then became a general manager, spearheaded Cohen’s marketing efforts, and helped found Cohen’s e-waste recycling division. That division was rebranded Cobalt and launched as a subsidiary of Cohen. He has been actively involved with the Institute of Scrap Recycling Industries for over 10 years and currently holds multiple positions at the chapter and national levels, including director at large. Kenneth Ehresman is the co-founder and chief operating officer for Advanced Technology Recycling (ATR). He started his career in the U.S. Armed Forces as an electrical engineer and for the Patriot Missile guidance systems. Ehresman used his extensive knowledge of advanced IC/PCBs to open a retail computer store in 1992 which was later awarded 2 large grants by the State of Illinois for their innovative approach to ITAD/ITAM solutions. Under his direction, ATR became authorized by the U.S. State Department and General Service Administration (GSA) to manage all types of electronics, including military grade assets, HIPAA and the world’s most technologically advanced equipment. 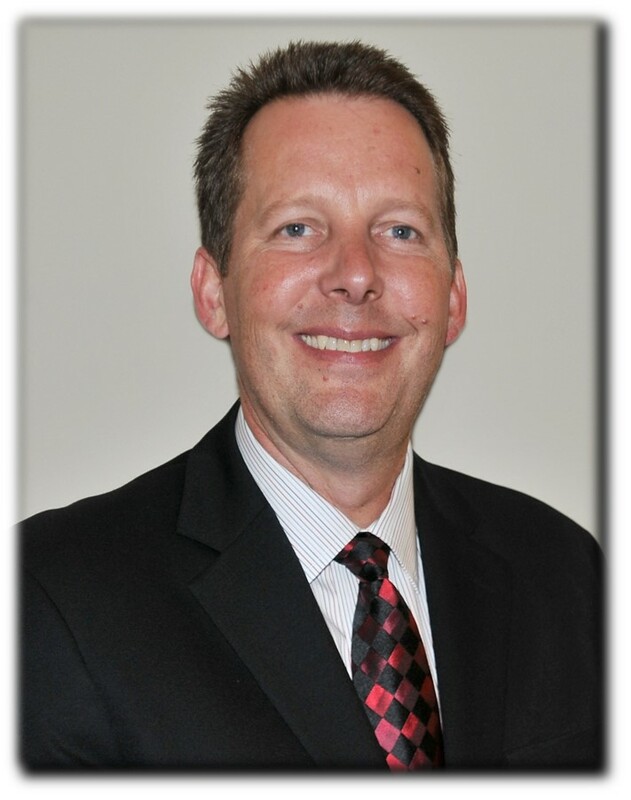 Jeff Gloyd is the vice president of sales and marketing at URT. He is responsible for all sales strategy, revenue growth and marketing-related activities for the company. Being a part of URT enables Gloyd to assist businesses in managing risk and cost while ensuring compliance. Prior to working for URT, he was a strategic account manager at Waste Management. Earlier in his career, Gloyd gained experience while managing a regional hazardous waste and landfill operation in Wisconsin. He currently serves on the board of directors of the North American Hazardous Materials Management Association. Miles Harter is the CEO and co-owner of Dynamic Lifecycle Innovations. In 2007, he recognized a need for electronics recycling and founded Dynamic Recycling. Through innovation and constant refining of services, Harter has helped grow the company to Dynamic Lifecycle Innovations, a full-service electronics and materials lifecycle management corporation specializing in IT asset disposition, electronics recycling, legislative compliance, product refurbishment, remarketing and resale, materials recovery, and data security with three locations across the United States. In 2018, Harter received the “Wisconsin Small Business Person of the Year” award from the U.S. Small Business Administration. Garth Hickle is an independent consultant with an emphasis on environmental product policy and the circular economy. Previously, he led the product stewardship program for the Minnesota Pollution Control Agency (MPCA). He currently serves as a board member of the Global Product Stewardship Council and Sustainable Electronics Recycling International (SERI). He is also a senior lecturer and visiting scholar at the University of Minnesota. He has published in the Journal of Industrial Ecology, Journal of Cleaner Production, Resource Conservation and Recycling, and Business Strategy and the Environment. Felix Hottenstein is the sales director for MSS Inc., a division of the CP Group. MSS is a manufacturer of materials-handling and sorting equipment for the recycling and waste management industry. He specializes in all projects that include optical sorting technologies. Beth Johnson is a senior regulatory compliance engineer with Dell Inc., responsible for legislative policy and compliance programs in the U.S. She has been instrumental in developing Dell's environmental policies as well as growing Dell Reconnect, the company's most popular consumer electronics recycling program. Johnson serves as vice chair of the WMMFA Board and most recently completed a three year term as chair of CTA's Environmental Policy Committee. Chris Jones is the president of Gannon & Scott, Inc. He has served the company in various managerial roles for more than 25 years, including vice president of operations for 16 years. Jones joined the company in 1989 as a laboratory technician, and he went on to manage each plant. Jones is also a director and past president of the International Precious Metals Institute. Darrell Kendall is the executive director at RIOS. In this position, Kendall travels the world speaking about the value of management systems, and he works directly with processing facilities to assist them on their path to more responsible operating procedures. Prior to his time at RIOS, Kendall worked in international development, managing higher education development projects funded by the U.S. State Department and private entities. Kelley Keogh has worked for over 23 years in the solid waste, hazardous waste, recycling and composting industries and has been auditing downstream processors in the electronics recycling industry since 1997. She is on the Technical Advisory Committee for R2, is trained as an e-Steward auditor, is a certified verifier and standards assessor for EPEAT. She also trains auditors for the RIOS and R2 standards. Keogh is a founding partner in Greeneye Partners, a downstream due diligence, training and certification support consulting firm for the electronics recycling industry. Tim Kimmel is the vice president of Cleanlites Recycling, where he oversees the company's hazardous waste, electronic recycling and ITAD operations. He developed and implemented the PV Solar recycling program at Cleanlites and has continued to improve operations to reduce cost and increase efficiency. Kimmel is a board member of the Association of Ohio Recyclers (AOR) and has over 10 years of industry experience. 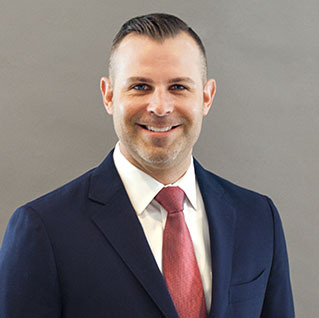 Jonathan King is the vice president of legal affairs for TCL and oversees the company’s electronics recycling programs throughout the United States. An advocate of environmental sustainability, King is focused on building TCL's vision of convenient recycling solutions in all 50 states into a reality. Bernie Lee is the research analyst for commodities at the Institute Scrap Recycling Industries Inc. (ISRI). Lee’s work for ISRI has been primarily to bring more market-focused content and analysis on the markets for non-metallic recyclables and the international trade of scrap recyclable commodities. Additionally, Lee produced a database project tracking international scrap trade flows and is currently working on a tool to improve scrap trade in the global market. Dan Leif is the managing editor at Resource Recycling Inc., which produces E-Scrap News and the E-Scrap Conference, among other industry magazines and events. He has worked in editorial roles at trade publications for more than 10 years and joined Resource Recycling in 2013. Kurt Lentz joined New State Capital Partners in 2018, bringing with him 17 years of experience in private equity, principal lending and investment banking. Lentz has a comprehensive background of transaction experience across a broad range of industries and extensive experience working directly with management teams to drive performance improvement within portfolio companies. Previously, he was a principal with Atlantic Street Capital Management, an operationally oriented lower-middle market private equity fund focused on investing in owner and entrepreneur-led businesses. Jason Linnell is co-founder and executive director of the National Center for Electronics Recycling (NCER). At NCER, he leads activities including research on electronics recycling data and policy as well as management of the Electronics Recycling Coordination Clearinghouse. Under Linnell’s direction, the NCER manages networks of collectors and recyclers for the Oregon State Contractor Program and Vermont State Standard Plan. Prior to forming the NCER in 2005, he worked in the Environmental Affairs Department for the Electronic Industries Alliance, a trade association for electronics manufacturers and suppliers. 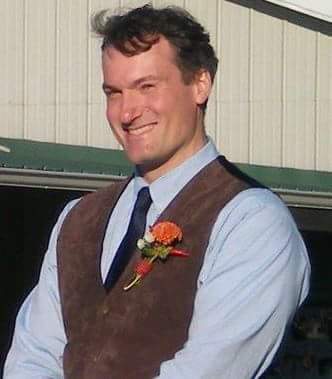 Tedd Lister is a research scientist and group lead at the Idaho National Laboratory, specializing in electrochemistry. Lister’s current work involves energy conversion reactions, electrosynthesis, surface modification and recovery of critical and value materials. His specialties include electrochemical energy conversion, corrosion science, electrosynthesis, electrodeposition, scanning probe microscopy and materials selection. Sean Magann is the vice president of sales and marketing for Sims Recycling Solutions and is one of America’s thought leaders on all aspects of IT asset disposition. In his more than 15 years of experience in the electronics reuse and recycling industry, he has launched global sites and managed operations across the world. 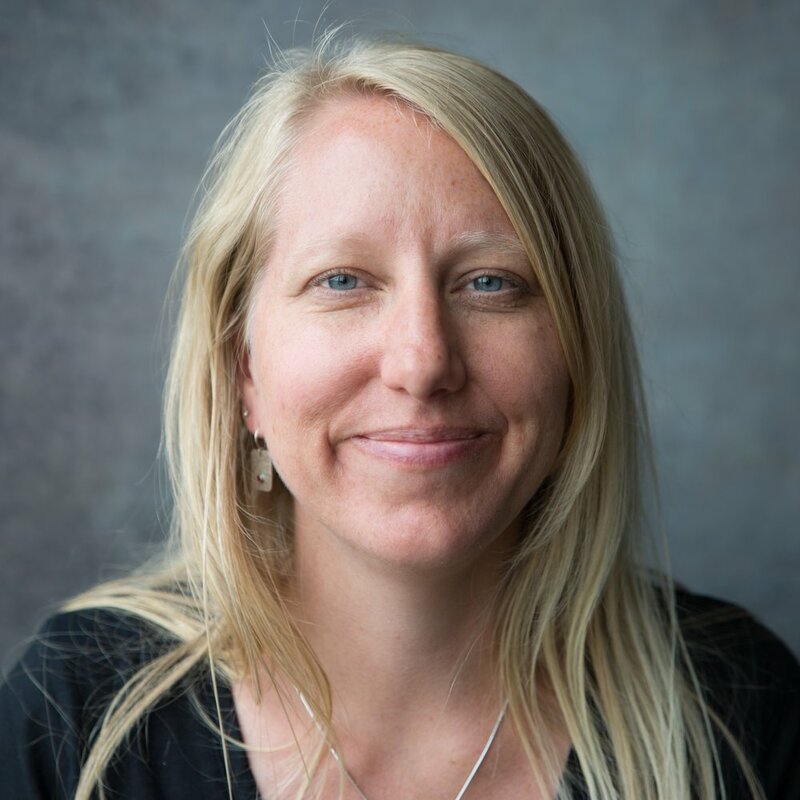 Carole Mars is the director of technical development and innovation at The Sustainability Consortium (TSC), responsible for the development of the sustainability measurement and reporting system for manufactured- and formulated-goods supply chains. She also leads projects investigating the sustainability issues and opportunities in manufactured-goods supply chains, focused on electronics and automotive industries, with an emphasis on product fate, end-of-life management and the circular economy. Prior to joining TSC, Mars worked as a process engineer in the semiconductor equipment manufacturing industry. Duane Nelson is the founder and CEO of EnviroLeach. Most recently he was the CEO and co-founder of Silvermex Resources Inc., a past TSX listed gold and silver producer. He is also the founder of Quotemedia Inc., a successful financial market data company established in 1998. Steve Pappas is the vice president for asset value recovery services at HYLA Mobile. He is responsible for the disposition, into the secondary market, of millions of pre-owned mobile devices per year, creating value for carriers, retailers, mobile device OEMs and wholesalers. Katharina Kummer Peiry is director of the Swiss-based consulting firm Kummer EcoConsult, which specializes in law and policy of sustainable materials management. An international environmental lawyer and a globally recognized expert on waste policy with 30 years of experience, she is the author of the standard academic work on the Basel Convention, and has served as the Convention’s Executive Secretary from 2007 to 2012. She is currently a member of the Board of Sustainable Electronics Recycling International (SERI). Anne Peters is president of Gracestone, Inc., a U.S. consultancy. She has worked in recycling for nearly 40 years and has focused on electronics recycling for 20 years. Peters is a specialist in many aspects of the electronics recycling industry, including EH&S, global certification options, regulatory compliance, North American and international policy issues, export matters, and operations. She has published articles in trade magazines, presented at conferences in North America, Europe and Asia, and taught graduate-level classes in electronics recycling and environmental matters. Peters volunteers on a project seeking to alleviate the problems associated with the open burning of Israeli e-scrap in the West Bank. Jim Puckett is the founder and executive director of the Basel Action Network (BAN), a nonprofit organization focused on confronting the global environmental injustice, economic inefficiency and devastating local impacts of the toxic waste trade. Prior to this role, he directed the International Toxics program at environmental group Greenpeace and worked to create numerous global treaties and instruments, such as the Basel Convention and Basel Ban Amendment, to combat toxic waste dumping. In the last several years, BAN has devoted much attention to creating the e-Stewards certification program to help leaders in industry honor international waste trade agreements. Sharada Rao is the quality director with SERI. Her responsibilities include developing and implementing a full scale quality assurance and control program for the organization. Prior to her tenure at SERI, Rao worked for a well-known certification body, Perry Johnson Registrars (PJR), for almost ten years. At PJR, she gained vast experience in managing various certification programs such R2, RIOS, E-stewards and more. Lynn Rubinstein is the executive director of the Northeast Recycling Council. Prior to being with NERC, she had many upper management and director positions in Massachusetts. Additionally, she’s been a professor of land use management, a resource planner, and an attorney with the Department of Justice. Rafael Reveles is an experienced recycling engineer and president of Converge Engineering, a full-service e-scrap and metals recycling system integrator with manufacturing capabilities. He has a diverse 18-year history of working in the technology services and electronics/metals recycling industries in operations and engineering roles. His expertise extends to data destruction equipment, shredders, environmental and safety management systems, and commodity recovery. He leads a highly skilled team of 24 engineers, electricians and fabricators, and together they deliver high-quality equipment. Adam Shine is the vice president for Sunnking, Inc., Manitoba Corporation, and Utility Services of America. Although he has only worked in the recycling industry for about 10 years, he has grown up around the business as his family has owned Manitoba Corporation since its establishment in 1916. Prior to entering the recycling industry, Shine was in software sales for Adaco Services. He currently serves on the board of the Institute of Scrap Recycling Industries and is actively involved with the Canadian Association of Recycling Industries. Elisabeth Smith is the executive officer for the (StEP) Initiative. Smith, an environmental scientist, comes with a keen interest in e-waste management and in-depth knowledge of the subject on an international level. She previously worked for the United Nations Industrial Development Organization and is currently heading The Dismantling- and Recycling-Center, a socio-economic facility for the treatment of e-waste in Vienna, Austria. Ana-Maria Stoian-Chu is the manager of the electronic waste recycling program for California's Department of Resources Recycling and Recovery (CalRecycle). In this role, she is responsible for the development, implementation and administration of the program. Prior to working for CalRecycle, she was based in Brussels, where she served in the government affairs department for Umicore, a global materials technology and recycling group. Stoian-Chu has extensive expertise on e-scrap legislation, the circular economy, sustainable materials management, and environmental and innovation policies. Consuelo Velarde joined Belmont Trading Company in 2002. In her current position as business development manager of Latin America, she is responsible for developing electronic recycling programs in Latin America providing global solutions targeted to raise awareness around proper electronics recycling properly. She has worked on the development of the major cellphone and telecom equipment recycling campaigns launched in Latin America, working on sustainable solutions with major electronic OEMs and operators. Serge Verdoux is the managing director for the Americas at Back Market. He is a business development expert in the areas of mobile entertainment, online travel and digital financial services. At Back Market, a leading online marketplace dedicated to refurbished products, Verdoux is in charge of starting and growing operations in the Americas. His responsibilities include business development, marketing and operations. Prior to Back Market, he held senior management roles at Amazon, Expedia and Amex. Dennis Ward is the founder and CEO of the Green Tracking Service, a division of Dennis Ward Enterprises (DWE). Its mission is to provide electronics recovery stakeholders visibility into their downstream network and ultimately provide a universal digital footprint of e-scrap flows. With 20-plus years of experience in the datacom and telecom industries, Ward founded DWE to assist industries in significantly maximizing their value, operational efficiencies and business strategies through digital transformation services. Kyle Wiens is the co-founder and CEO of iFixit, the largest online repair community and Apple parts retailer. In 2011, he started Dozuki, a software company that is revolutionizing online technical documentation. He co-authored the first free repair manuals for Apple hardware while studying computer science at Cal Poly in San Luis Obispo, Calif. He is a board member of Softec and the IEEE CE Society.